After 12 minutes of footage were presented to buyers at the Cannes Film Festival this past week, Bleed for This, the Vinny Pazienza biopic starring Miles Teller, has been sold to Open Road Films. The film, which also recently picked up Martin Scorsese as an executive producer, went through somewhat of a bidding war before landing at Open Road. The film has already been garnering pre-Oscar buzz, as the distributors will reportedly be giving the film an awards season release toward the end of the year. If the rumors hold true, this will be the second year in a row that Teller will be in Oscar discussions after his critically acclaimed role in Whiplash last year. This will be the second pugilist film sold during Cannes besides the Edgar Ramirez (Wrath of the Titans) and Robert De Niro (Silver Linings Playbook) boxing drama Hands of Stone, which was sold to the Weinstein Co. These two films will round out a banner year for boxing movies, joining Jake Gyllenhaal‘s (Nightcrawler) Southpaw and the Rocky sequel Creed. 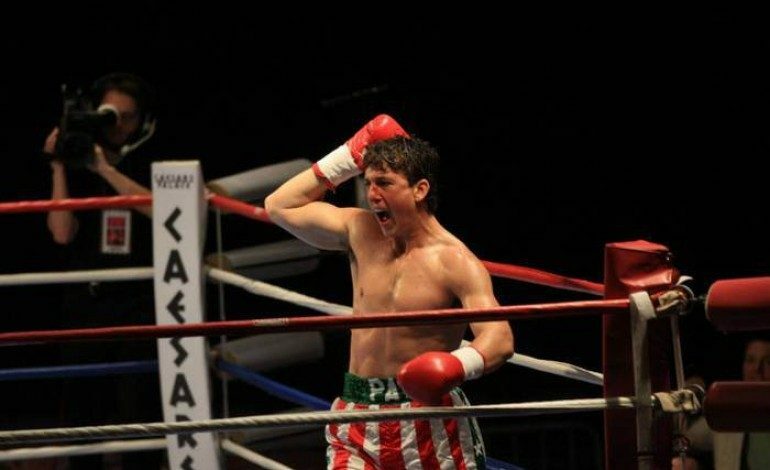 Bleed for This will tell the true story of world champion boxer Vinny “Paz” Pazienza, who made one of the hugest comebacks in boxing and sports history after suffering from a near-fatal car crash that left his doctors wondering if he would ever even walk again. His determination prevailed, however, as he soon got back into the ring with his famous trainer Kevin Rooney (played by Aaron Eckhart, The Dark Knight), and made a triumphant return some months later. Ben Younger (Boiler Room) directed and co-wrote the boxing flick with Pippa Bianco. Katey Sagal (TV’s Sons of Anarchy, Married With Children), Ciaran Hinds (Munich), and Christine Evangelista (TV’s Chicago Fire) also star.